How do you know if a solar battery system is right for you, and what are your options? The solar battery industry is almost always in flux, as new technologies, rapidly falling prices, and a constant stream of new/dying industry players all add to the confusion. If you’re in the market for backup power, it can be hard to find the best solar batteries for home use, but we’re here to help! There’s never been a better time to install a backup energy system, as batteries for energy storage have dropped in price by over 20% each year since 2013, making them increasingly affordable for fans of off-grid energy and solar power. Let’s look at how solar batteries work, what solar batteries for home use can do for you, and some of the best options on the market if you’re looking for backup energy storage. You already know that your solar installation produces clean, low-cost electricity, but there’s a hitch: you’ve got no way to store that electricity while the sun’s out. And without any means of storing that power you produce, you’ve only got two options. First, you can use all the electricity you create immediately in your home. However, who’s home every day, all day, to use the electricity your solar installation produces? No one! So if you can’t use all that electricity right when it’s created, your second option is to send the electricity into the electricity grid, where (hopefully) you’re compensated for that excess electricity by your utility. This is called net metering agreement between you and your utility. That’s it. Those are your only two options to fully use all the renewable energy your solar installation produces. But wait. There’s a secret 3rd option as well. Batteries. Solar batteries for your home allow you to store some of that cheap solar electricity you produced during the middle of the day and use it as back-up in case the grid goes down or for use at night after the sun goes down. Would I benefit from solar batteries? Let’s be frank right up front: Most homeowners in the US simply can’t see financial savings when buying solar storage – at least for now. Why is that? Electricity prices across most of the US are simply too darn low! High electricity prices – As of April 2018, the average US household pays $0.13 per kWh for electricity. That’s actually a great deal, and your utility is well-practiced at making vast quantities of electricity for very little money. Some states, due to regulation (California) or remoteness (Hawaii), see much higher electricity prices – up to $0.32 per kWh in Hawaii’s case – which gives homeowners more incentive to pay for a solar battery. After all, Hawaiians suffer from electricity priced almost 3x more than the rest of the country! That leaves ample room to spend money for storage and still come out ahead. Time variant pricing – If you’re on a Time-Of-Use (TOU) rate or something similar, you pay more for electricity during times of peak demand – typically weekday mornings and afternoons. Solar installations produce the most electricity around noon, so unfortunately you’re not avoiding those high prices. With battery storage, however, you can store some of the electricity your installation produces and use it later in the day when utility prices are highest. Of course, how much (and if) you can save money depends on your utility rates and solar/battery installation costs. Let’s take a look at a few of the storage options available to homeowners. Now that we’ve covered the basics, let’s look at some of the most promising solar batteries on the market. We focus on costs, specifically cost-effectiveness, to make sure you’re getting the most bang for your buck. Prices are current as of September 2018. 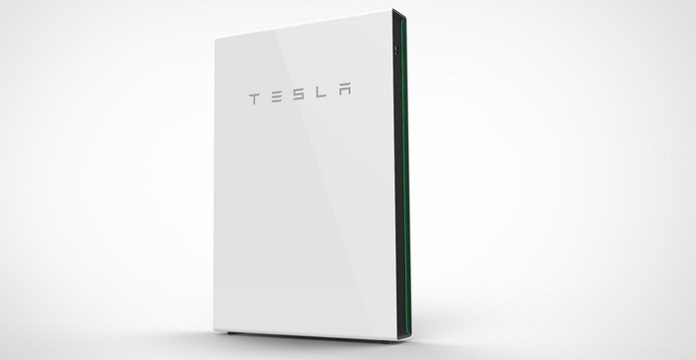 Let’s start with the offering that really brought solar storage into the mainstream: the Tesla Powerwall. Tesla introduced the Powerwall in 2015 and shocked everyone. Its sticker price was way below what anyone dreamed possible. Even today, it’s one of the best priced storage options on the market. 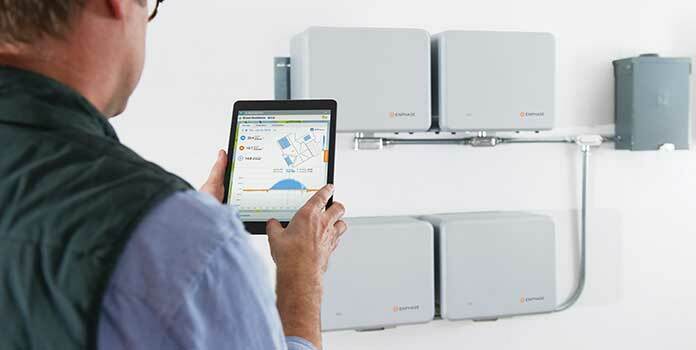 At 14kWh, the Powerwall’s storage capacity is one of the largest available today in a single piece of equipment. It comes with an excellent 10-year warranty backed up by a brand known for their customer service. At $421/kWh of capacity, it’s also the most cost-effective option on our list. However, like all the batteries we listed here, that price doesn’t include labor – which increases the total cost by several thousand dollars. The battery can be used for shifting electricity use as well as backup power if the grid goes down. With the average home using about 30kWh each day, you could power your home during a power outage for about half a day without any change, or longer if you conserve your electricity. In July 2018, Tesla partnered with Home Depot to sell their solar panels and Powerwall 2 in 800 stores in the US, so it’s a very accessible product as well. Bottom Line: The most popular solar storage, at least by public awareness, from a forward-thinking company. The Powerwall is a great deal. LG Chem is the leading supplier of automotive batteries in the entire world, making batteries for hybrid and electric vehicles like the Chevy Volt, so it makes sense they’d move into the home storage market. Their lithium-ion RESU battery comes with an integrated inverter in 3 sizes: a very small 3.3 kWh, medium 6.5, and large-ish 9.8 kWh. Unless you string them together to increase capacity, none of the RESU batteries – save the largest option – are really big enough to use as backup power. Instead, consider them a tool to help you shift electricity use to other times of the day, helping you save money on your electricity bills. 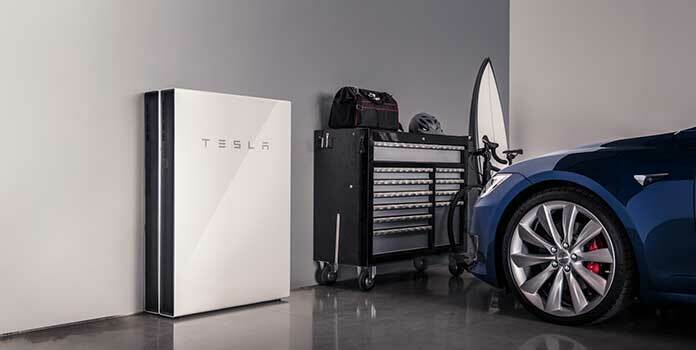 The RESU is available through Sunrun (who, ironically, formerly installed rival Tesla’s Powerwall), and is packaged as the ‘Sunrun Brightbox’. Through Sunrun, it’s available in Arizona, California, Hawaii, Massachusetts, and New York – states with high electricity prices. At around $600/kWh, the price is a smidge higher the Powerwall, but you’re getting a product from a company that’s been around a long, long time – and will probably be here in the future as well. Bottom Line: The RESU is great if you’re looking to shift some of your electricity use to another time of the day. With LG behind the product, you know you’re getting a quality piece of equipment. Enphase basically created the microinverter market and now they’ve expanded their products to create an entire solar ecosystem: inverter, monitoring, and storage. At 1.2 kWh, their AC Battery is just a fraction of the 2 batteries above, able to cover about 4% of the average US home’s daily electricity use. As you can imagine, this thing isn’t designed for emergency back-up power. 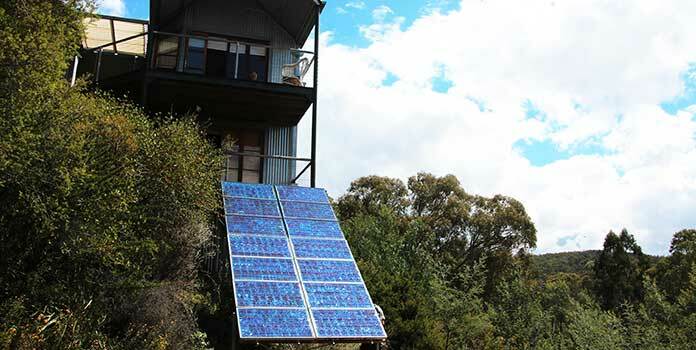 Instead, it allows homeowners to store up a titch of cheap solar electricity for use when utility prices are highest. Enphase correctly markets the AC Battery as one of the most affordable solar options out there, and it’s certainly true if you only consider the initial cost – a paltry $2,000. With its small size though, its $/kWh is much higher than the others and it can’t really compete with the RESU or Powerwall on cost effectiveness. Still, you’re getting a 96% roundtrip efficiency – a full 7 percentage points higher than the Powerwall – and a 10 year warranty, on part with the best. Bottom Line: Enphase is well-known for their smartly designed and constructed equipment, and the AC Battery will certainly live up to that. However, looking at the $/kWh cost, they can wind up being pricey next to the others on our list. Last on our list is the SonnenBatterie, made by the German leader in energy storage. 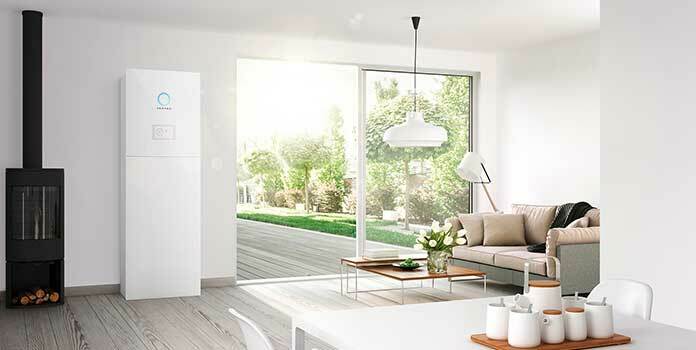 They entered the US market in 2015 with the sonnenBatterie eco, specifically designed for residential applications as a rival to the Powerwall. The eco comes in 7 different sizes, ranging from 4kWh to 16kWh. Like the others on our list, the sonnenBatterie eco helps you shift electricity use to cheaper times of the day and, depending on size, act as an emergency backup. Their 16 kWh battery is the biggest single battery on our list, large enough to cover over half the average home’s daily usage. However, it is far and away the most expensive option on our list, coming in at almost $2500 per kWh! 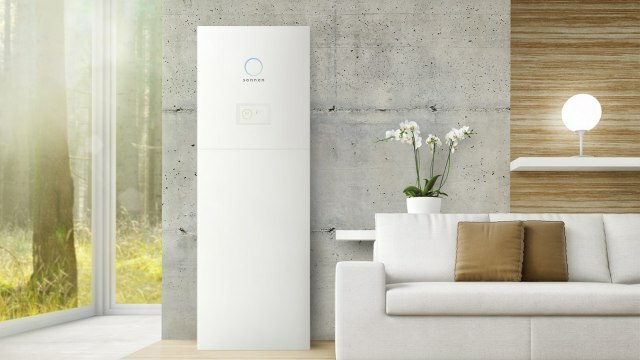 Reaching cost-effectiveness is difficult with any battery storage, so sonnenBatterie’s high price will likely be a major hindrance unless they offer a huge price drop to better compete with the Powerwall. Bottom Line: The SonnenBatterie eco comes in a wide assortment of sizes to suit your needs, and its sleek appearance is certainly eye-catching, but the cost will almost certainly drive all but the most dedicated away. Of course, there are other batteries out there. We chose these four as stand-outs thanks to their price, reputation, and reliability. Other batteries from major manufacturers, like the Nissan XStorage that’s currently available only in the UK, could certainly jump out in the future. And newcomers like SimpliPhi, with their incredibly long-lasting lithium batteries, are growing like wildfire. As we mentioned before, the solar and battery industries are constantly in flux. The products we reviewed above are some of the best on the market, but that market can change quickly. The best course of action is to stay up-to-date and do some research before you sign off on any big purchase! Let us know in the comments below if you think we missed a great battery option! Interested in installing solar along with your batteries? Reach out to local installers to see what they can do for you!